Steve's romantic attachment for Barbara grows and Judy learns from Tony that Maxine has been dealing in stolen goods. George Logan also appears at Barbara's trial, but has no dialogue. Chrissie checks the coast is clear then fakes a rash by rubbing a hairbrush over her forearms and cleavage so she can get Colleen to give her permission to see Neil. When Colleen expresses doubts about having a male nurse, Joan pointedly comments that you don't have to be a man to be accused of "interfering" with the prisoners. Neil instantly diagnoses Chrissie's condition as a "good rub with a hairbrush", adding that there's a lot of it about. [So who are these other women driven to hairbrush abuse in a frenzy of lust? Lorna? Lil? ... Tina?!] He sends Chrissie away, but doesn't report her to the officers. When Bea finds out where Chrissie has been, she comments that it's a plumber Chrissie needs, not a doctor, but Chrissie is still convinced that Neil is interested in her. Faye gets permission from Bea to start up the book again, though Bea insists that they aren't going to put money in Joan's pocket and if Joan finds out, Faye must stop the book straight away. Judy complains to Meg of the poor quality of applicants she's had for the halfway house job, when a young man arrives who's been referred by the CES. His name is Tony Berman and despite her initial mistrust, Judy is impressed by his qualifications in social administration and experience in counselling and voluntary work. Judy admits she hasn't actually got permission to employ anyone, but says she'll let him know. Maxine arrives back and gives Tony her vote before handing over a dinner service which is supposedly a present from "the boys". However, Maxine has lots of other goods in her haversack which she hides in the wardrobe in her room. Faye apologises to Paddy for making fun of her, and offers to let her be bookie's runner. 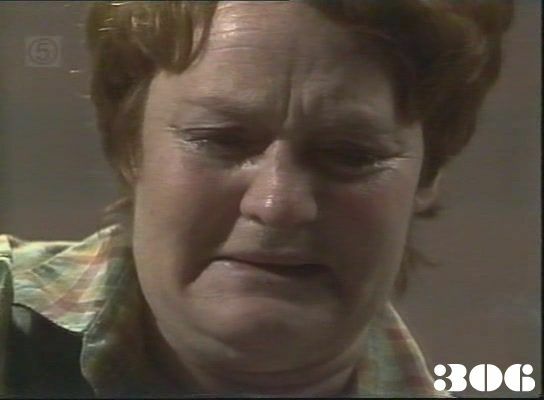 When Paddy doesn't seem too keen, Faye implies she can get Joan to have Paddy sent to solitary if she doesn't agree. Bea notices that Joan does nothing when she walks into the rec room while Faye is taking bets and reminds Faye of their agreement. Paddy steps in and tells Bea to leave off, and Bea has to back down when Faye reminds her she's in danger of losing her parole. Judy phones Meg to tell her she's giving the job to Tony. Joan is not pleased when she has to chase up Faye to get her cut. Chrissie makes eyes at Neil, and gets the wrong idea when he gives her the pill as a treatment for a "hormonal problem". Bea tells Paddy that she's prepared to sacrifice her parole to teach her a lesson if Paddy doesn't get back in line. Maxine sells stolen goods to a couple of women who visit the halfway house shop . Judy takes Tony to meet Erica and finds out that Bea will be considered for parole in a few months. Joan threatens to send Paddy to solitary if she doesn't try harder to drum up punters. Paddy tells Faye that if it comes to a showdown between Joan and Bea, she'll be on Bea's side. Maxine admits to selling a few toys before the shop officially has permission to open, but Tony is amazed by how much money she's managed to get. Barbara realises George's alibi is blown when Steve tells her about the Range Rover - just like the one she saw outside the factory on the night of the fire - but keeps quiet about it. Paddy continues as bookie's runner for Faye. Barbara sees her new solicitor and hints of her suspicions about George, but without giving him any concrete proof. Steve tells Barbara he knows she shouldn't be in prison, and suggests that they could see each other on the outside after she is acquitted. Tony tells Judy he suspects Maxine is shop-lifting. Judy finds the goods in Maxine's room and tells her to get rid of them, so Maxine dumps them in a charity collection skip. Lizzie depresses Barbara by talking about her time in the "old jail". Barbara goes to court: her solicitor puts forward evidence that she couldn't have lifted the containers of chemicals used to light the fire. The judge decides the murder and arson charges cannot be laid against her and says it is up to the Attorny General to proceed with the charges of breaking and entering and theft. Maxine is caught disposing of more stolen goods by a plain clothes detective. Lizzie finds Bea on the point of tears in her cell : Bea admits that it is the hope of getting out that is torturing her, and the prospect of Joan taking it all away from her.